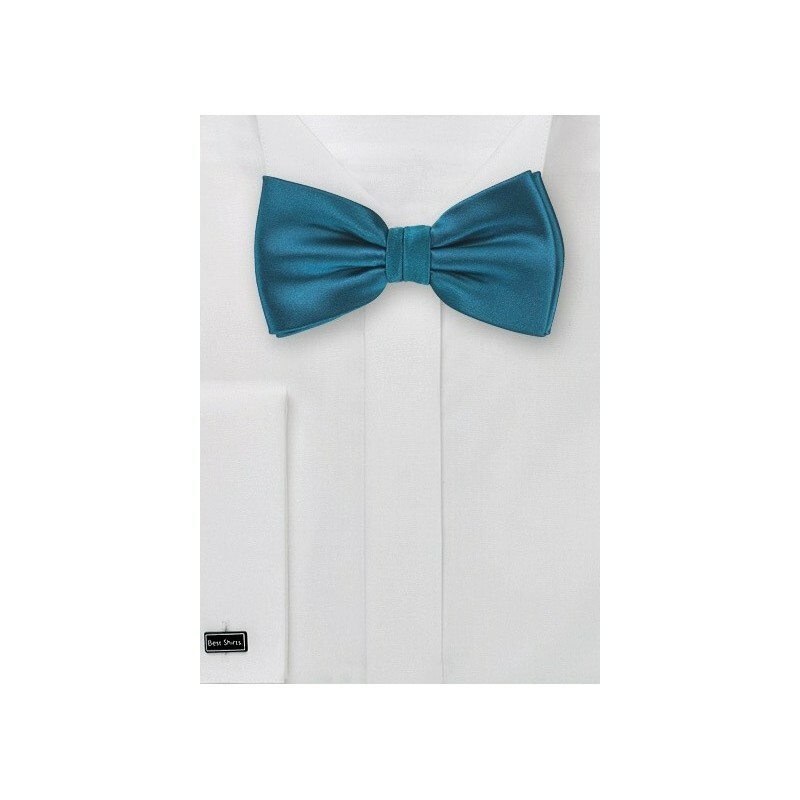 A rich teal color is paired with a shiny satin finish fabric on this special kids sized bow tie. 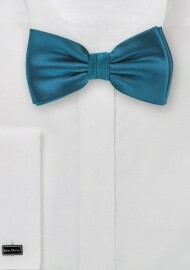 This kids bow tie was made as the matching piece to one of our most popular teal colored neckties. Now everyone in the family can dress up with this fancy color regardless of age or necktie vs bow tie preference. Made from microfiber.